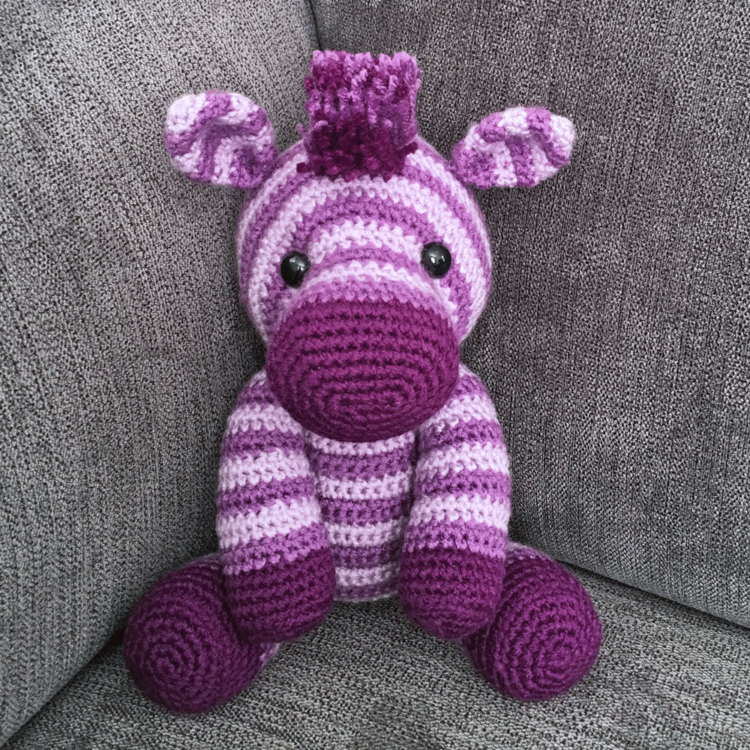 Zane the Zebra is the third pattern in my series of six matching safari amigurumi animals. 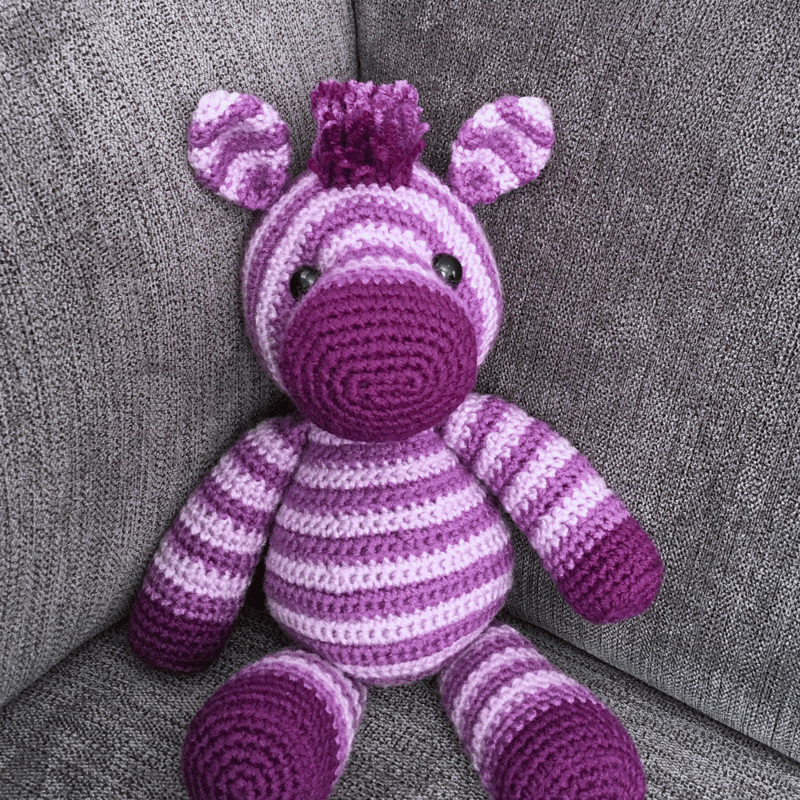 Check out the other two I currently have completed, Harriet the Hippo and Laurence the Lion! 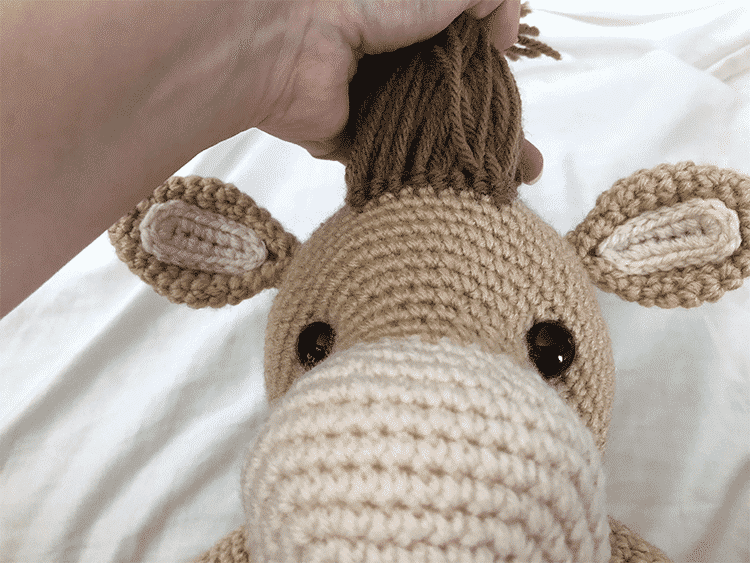 I will be releasing the fourth pattern, a giraffe, next Wednesday. 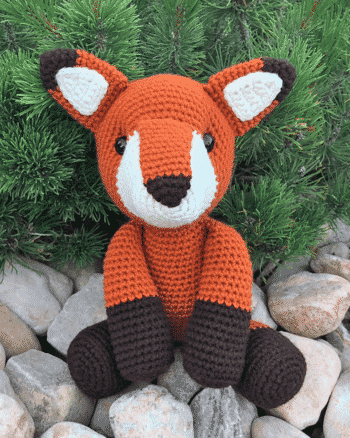 🙂 Be sure to subscribe if you want to be notified via email when I post new patterns. 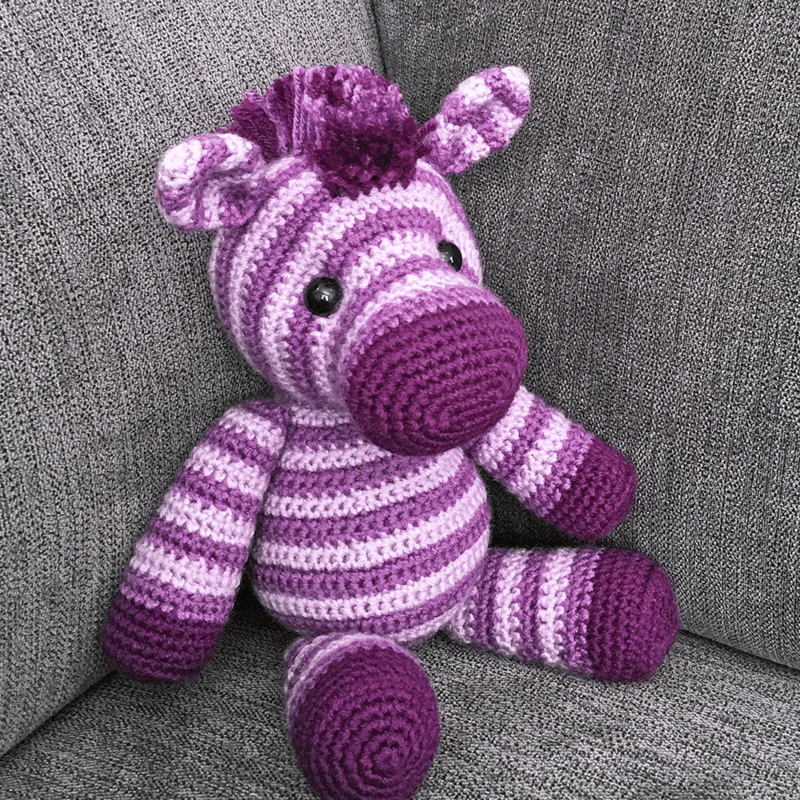 I am nothing if not a perfectionist, so creating this free zebra amigurumi pattern really challenged me to perfect my color changes without having to cut the yarn in between. I tried a variety of techniques and my favorite ended up being Planet June’s no-cut join method. 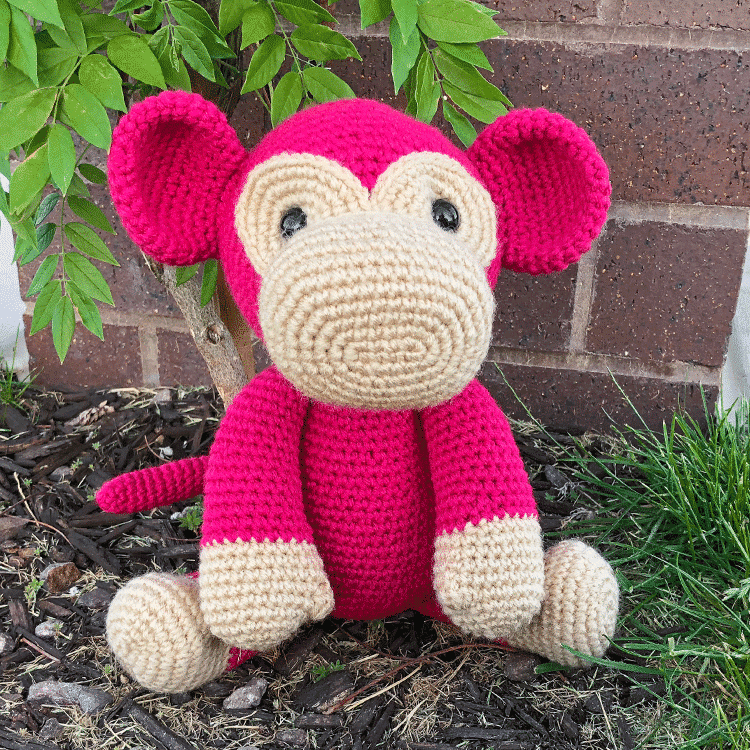 As you’ll see in the slideshow below, the stripes are almost perfect! 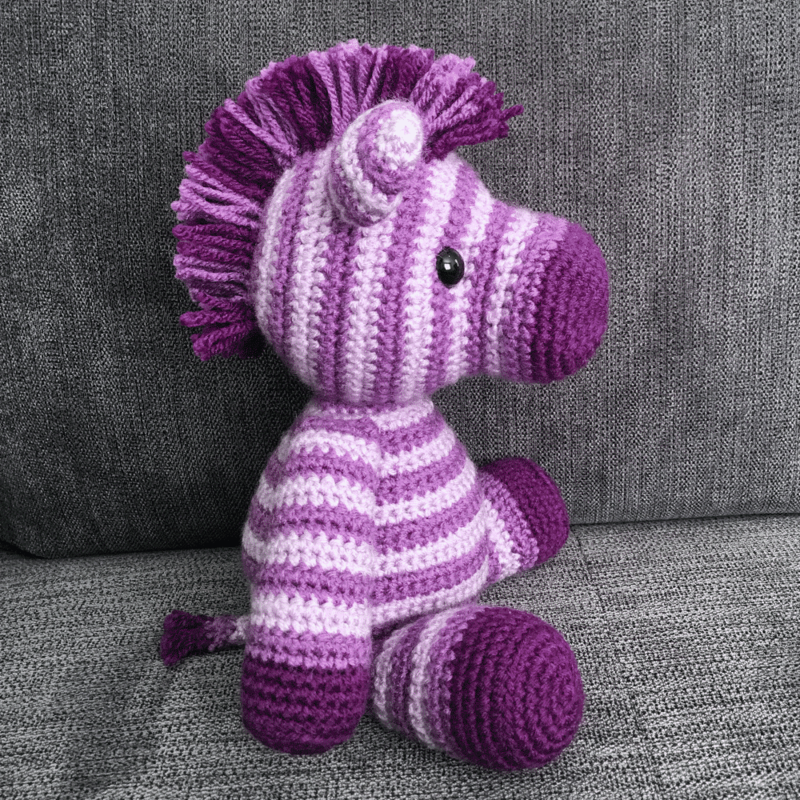 You can still see a bit of a seam up the back of the zebra if you look closely, but it sure beats having a “stair step” with each color change, or having to cut the yarn and do a standing start on every other row. 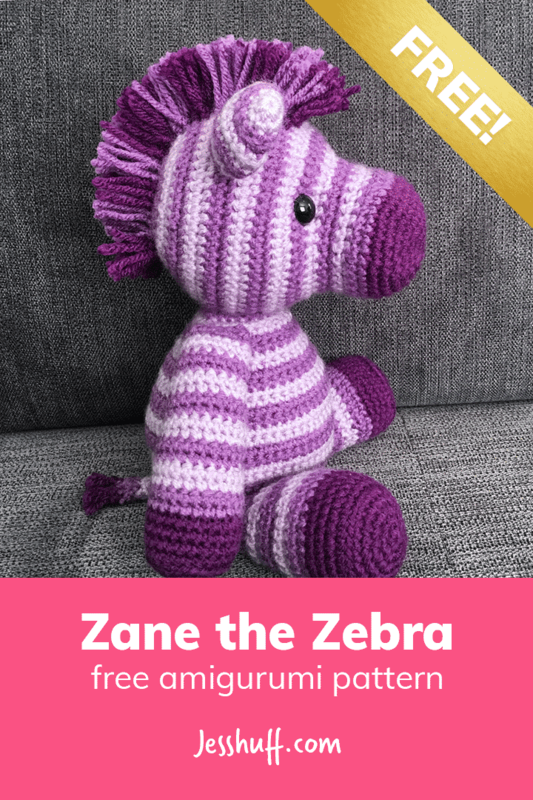 He may not be black and white, but one thing is clear: with his purple stripes and mohawk on fleek, Zane the Zebra is the coolest cousin in the equestrian family! Now sc 9 additional stitches. Consider this the official end of round 7. This ensures the color joins will be along the bottom of the head and won't be as visible. Continue with round 8 as normal. 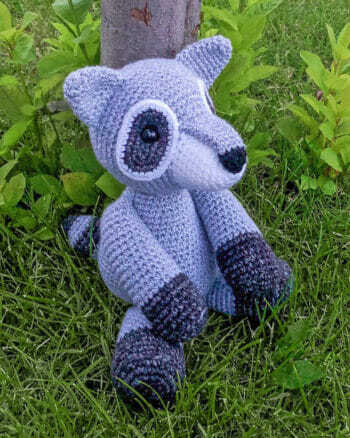 Fasten off and leave a long tail for sewing. 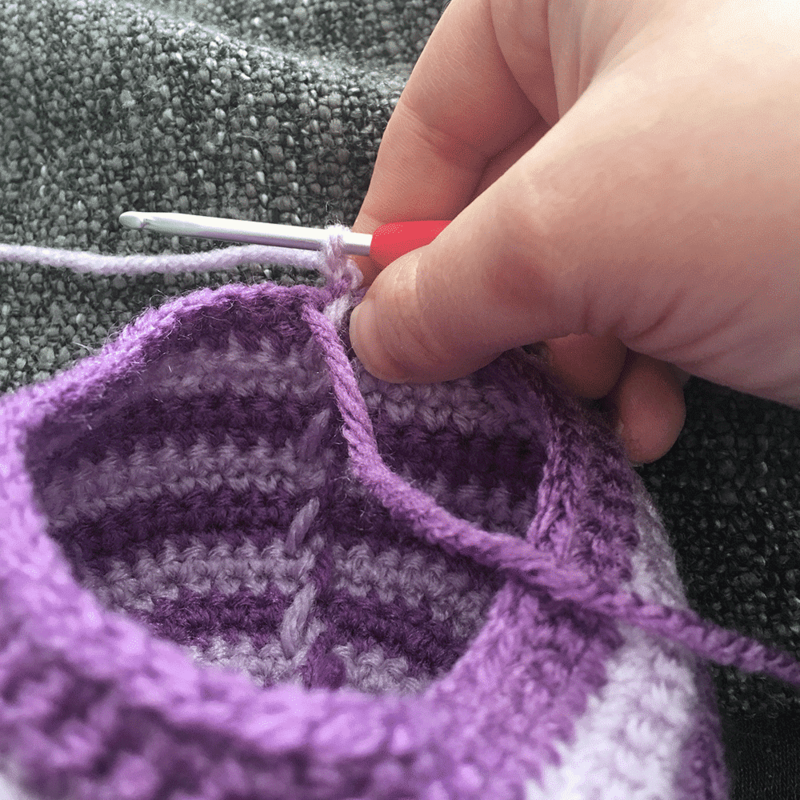 Fold the top opening in half and slip stitch closed. Root in strands of dark purple yarn to flat end, secure and trim as desired. When changing colors, I recommend using Planet June's no-cut join method. 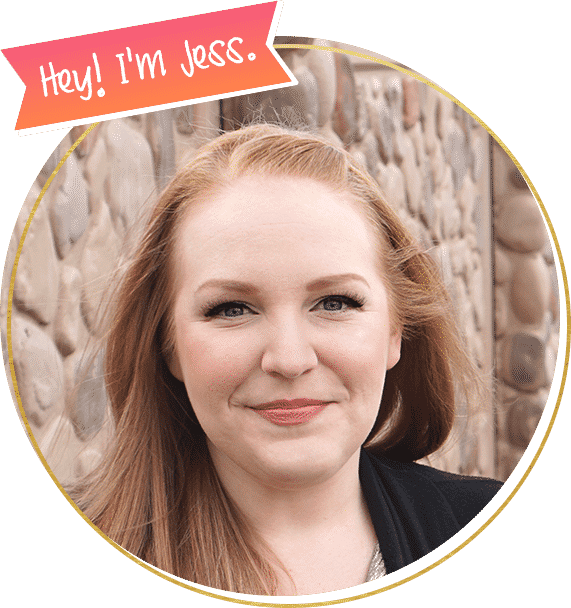 See the last photo in the slideshow toward the beginning of the post to see what the inside of your work will look like as you switch colors. 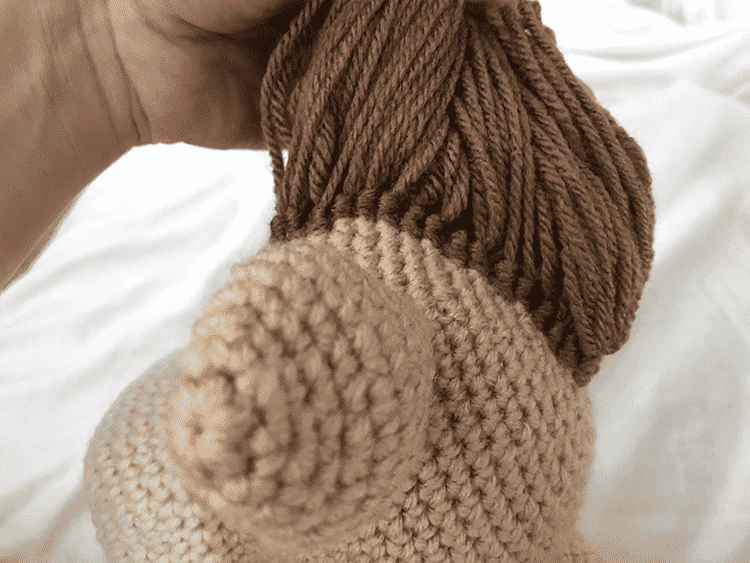 Step 1 – Cut 10" long strands of yarn. How many depends on your personal preference, but I ended up using well over 100. As you can see in the 4th photo above, I only rooted hair on every other round, but filled in the gaps with one strand of yarn on each side. Optional: Use a ruler and a disappearing ink marker to draw a rectangle on the head as a guide for where to root the mane. You can do the same for the tail by tracing something circular (about 1.5" in diameter) on the rear. 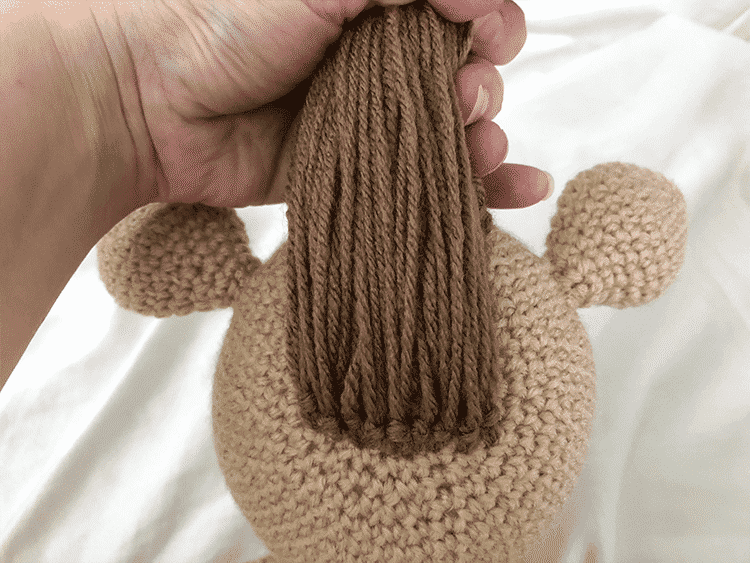 Step 3 – If giving your creation to a small child, be sure to secure each strand of hair with a knot so it can't easily be pulled out. I personally insert the hook in the holes back-to-front instead of side-to-side, but it really doesn’t matter. 🙂 I also secure the strands with a knot at the end so a child wouldn’t be able to easily pull them out. 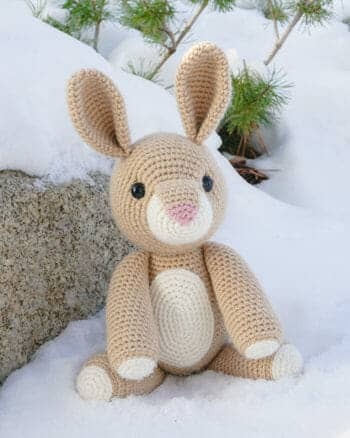 I am trying to do this pattern but cannot get past row 2. I’m not sure what I’m doing wrong but I have 14 stitches at the end of row one like it says but I don’t have enough stitches to do row 2 to get to 20 stitches. I assume I’m reading row 2 instructions wrong. 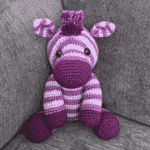 To me it reads 2 sc in first sc, single crochet in next 2 stitches, 2 sc in next stitch 3 times. Then sc in next 4 stitches, 2 sc in next stitch two times. Is this incorrect? Oops I meant next 4 not next sc. 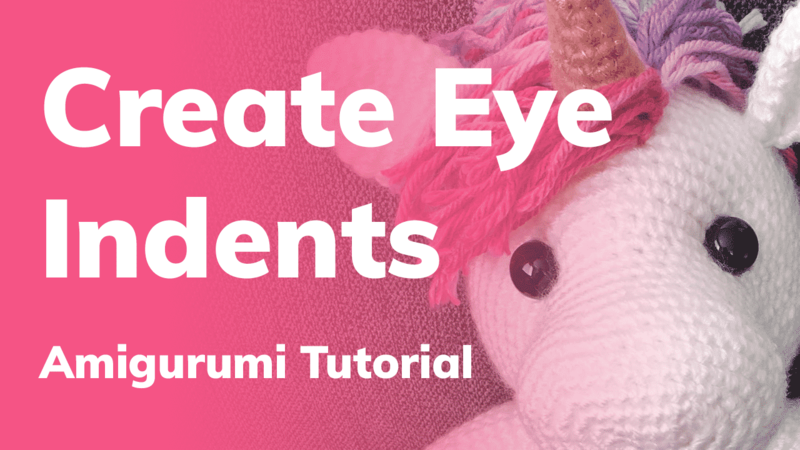 They both result in 14 stitches around so you could even use the video version for round 1 if you want! There are 6 increases in round 2, which results in 6 additional stitches at the end of the round (14+6), meaning round 2 has 20 total stitches. I hope that helps! If you’re still stuck, please let me know. 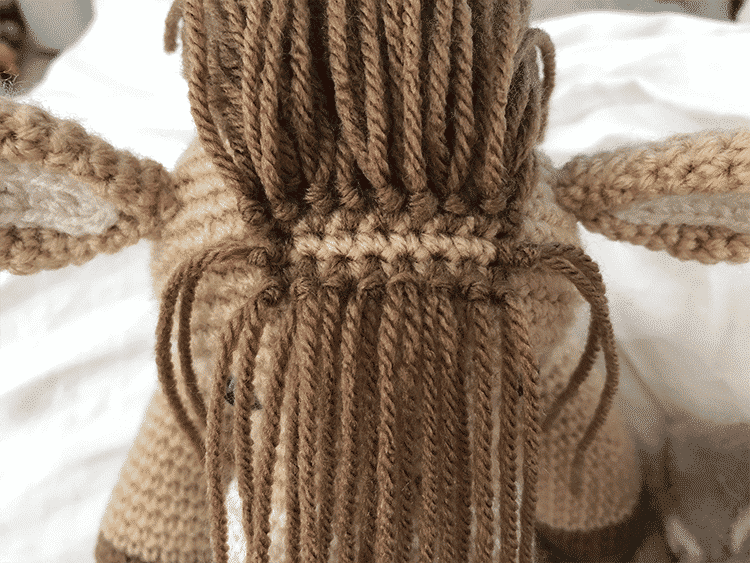 How do you get the mane to stand up? It doesn’t stay perfectly straight like that all the time, I just styled it that way for the pictures. 🙂 You could probably use some kind of starch spray if you wanted! 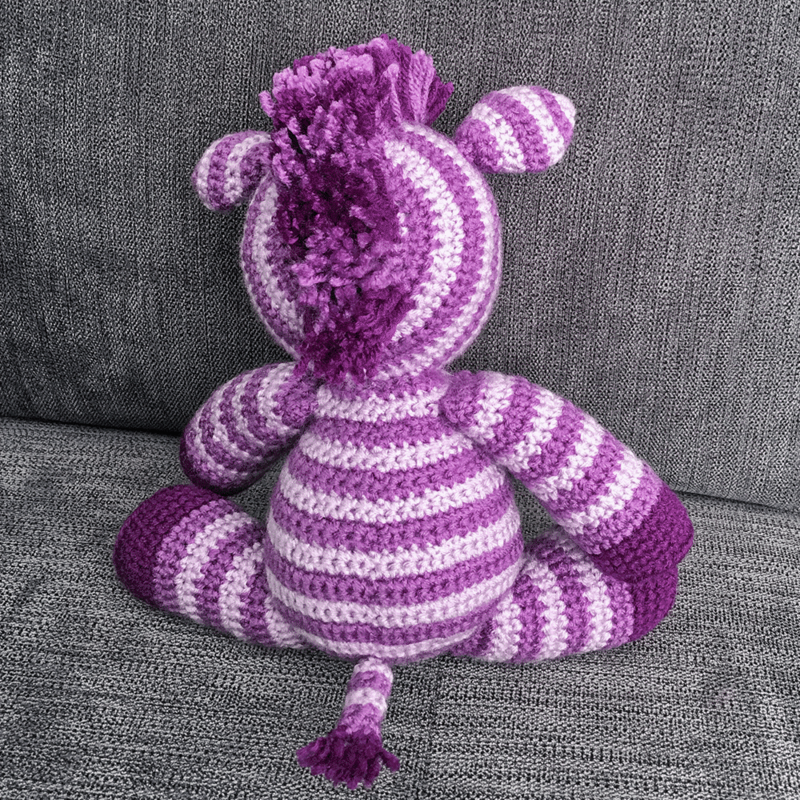 I just finished all the body parts and am wondering if you have a video or can explain how you stitched him all together. 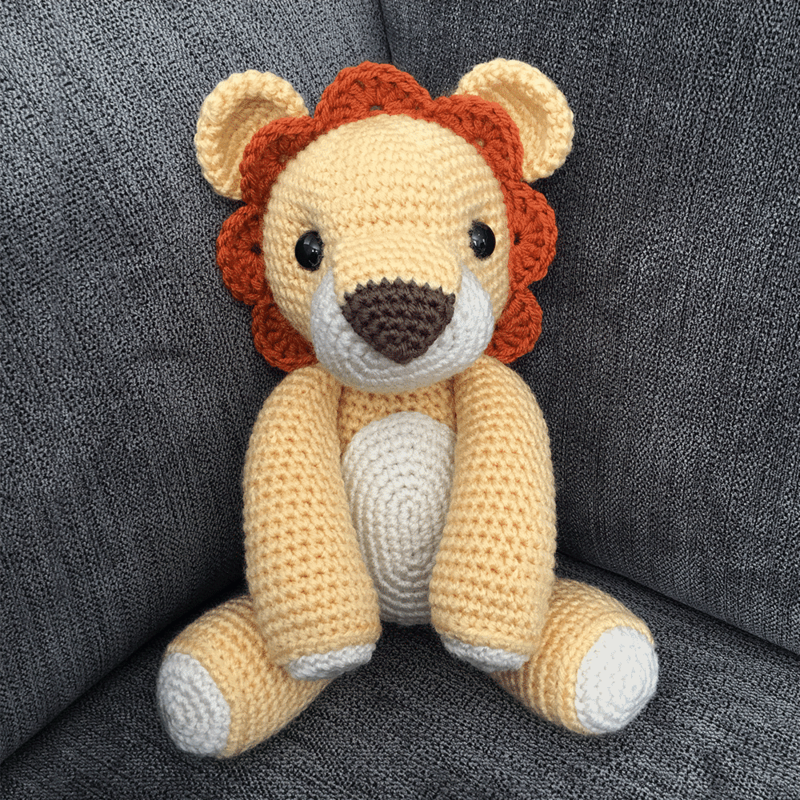 🙂 I love this pattern and can’t wait to have him as a little buddy to sit on my bed.